The Italian economy within the context of international uncertainty. Instructions on how not to "flood your engine". Economy is a social science that makes much use of metaphors and images. The first, and still one of the most famous, was the "invisible hand", the metaphor that economist Adam Smith used to explain the 17th century market as a mechanism that transforms private interests into the common good. Still today, the economy borrows images from sports (competition as a sporting race), from music (the manager as the director of an orchestra), and many other areas. These images allow economists to explain dimensions of reality that remain inaccessible to the language of mathematical formulas and balance exercises. However, metaphors don’t always truly help, and they sometimes lead us astray, especially when the borrowed image is used for ideological goals and has an excessive amount of simplifications. More recently, for example, it’s always more often that we find the combination of market and street traffic. When a person leaves his house and joins traffic, he does so because he has motives and personal interests that drive him on (work, friends, amusements), and not out of love for his city or for the other drivers. But if traffic is well-regulated by instruments (traffic lights, roundabouts, and control cameras), institutions (police and traffic officers), infrastructures and good laws, each person is able to reach their own goal. But for road conditions to work well, the institutions, instruments, controls and laws are not enough. There is also need of a certain ethic for motorists and road maintenance. And when this mechanism is blocked (by traffic jams, for example), the answer is not trying to make the motorists "better" people, but rather in the need to improve streets or substitute traffic lights with roundabouts. The market is the same: with good instruments and institutions, rules and "watchmen", wide and comfortable "streets", respect of the law - and each person is able to reach their objective, giving life to a "spontaneous order" that doesn´t require a regolatory plan that fixes prices from above or regulates demand and sales. But there’s more. In the midst of traffic, it´s not opportune (and it’s actually inconvenient), to look into the eyes of the other drivers when we pass them or stop at a traffic light. We´re not asked to live altruism while driving, as it is often dangerous (because it´s unpredictable). For example, when an "altruistic" driver sees an elderly person who wants to cross the street where there is not crosswalk, he comes to a grinding halt and gets rear-ended by the car behind him. The only moment when looking into the other’s eyes and being altruistic fits into street traffic is during moments of crisis (as in a bad or unforeseen maneuver), or the favor of letting someone turn onto the main road from a secondary one. The market is the same: anonymity and being impersonal work better than friendly or familiar relationships. In business, you don’t look at anyone "in the face". Respecting the rules, plus a few small donations - this is the maximum that can be asked of the economic ethic in normal times. Only during crisis is it necessary to do something extra. But are we sure that things truly fit into this model? I don’t think so. The market-traffic analogy catches some aspects, but risks running us off course in other very important ones. Above all, we live ethics in other very relevant aspects of traffic conduct - from what type of car we buy (ecological or not), to a responsible and prudent driving style (not slowing down only when we know there is a camera), to the self-control we exercise when we react to other’s driving errors. And the role of institutions isn’t limited only to the maintenance of traffic lights and cameras, but extends to favoring more ecological transportation systems (trains, for example), to public transportation or new models of renting cars (the so-called car-sharing) and ownership. The same goes for the market: ethics isn’t mainly in the smile that one gives a client or colleague, but in being professionally up-to-date, in preparing oneself before a meeting, in not selling one’s dignity for a career, in job security, in being indignant in the face of injustices. "I love my patients by studying their charts before a visit", a primary care doctor from Milan told me. Today, for who loves ethics and values, the challenge is to pull them back out of the margins where we have confined them: a smile from the car window, a SMS to show our support, or pre-tax donations. 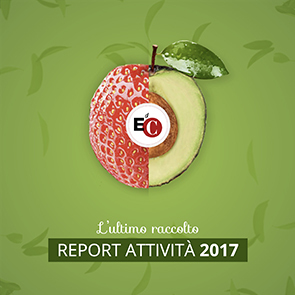 These are all positive things, but the ethical quality of public life is played through the use of the 99.5% of income, through solidarity with Abruzzo six months after the first SMS during the emergency, or through fairness in work relationships. The crisis that we are living, and the many others which we will live, tell us that the ethical dimension of business and banking is not measured by the amount given in philanthropic donations. Rather, it’s measured with the culture of their entire activity. Let´s not resign ourselves to a culture that is transforming values into the "Limoncello" (a lemon liquor) of a lavish lunch - agreeable but not an essential part of life. Ethnics are neither the limoncello nor the first course. It´s mostly the way in which the lunch is prepared, served and looked after. It is the quality of the relationships during the meal, the attention to who doesn’t eat with us or who doesn’t eat at all because excluded from our opulent banquets. If we forget all of this, values will soon become simple merchandise that each person can buy at a good price and consume as he wishes, in a type of "point-system ethics", with relative rehabilitation facilities.